Dual Everest champion Redzel is still the horse rivals fear in the TJ Smith, even though master trainer Peter Snowden is tiring of answering questions whether he is at his best. Snowden and son Paul have tuned Redzel’s preparation to be ready third-up, where he has won both his Everests and TJ Smith runner-up to Trapeze Artist last year. “This is the race we have been targeting since the beginning of the preparation and he is great,” Snowden said. “He will have to be, because it is an Everest-like field. This field is incredibly deep. He is ready for it. Defending champion Trapeze Artist might be favourite but his trainer Gerald Ryan looked to the darkened skies and mentioned one horse. The surprise of Redzel running eighth in The Galaxy prompted concerns and sees him not the top pick in betting. “Everyone is getting worried off one bad run [in The Galaxy],” Snowden said. “We erred by not riding him forward. We had 60kg and copped a bump and just couldn’t pick in the straight. Redzel could jump at his longest price in almost two years, but a man who holds two aces in his TJ Smith deck has warned Redzel looms as a major threat in the feature sprint of The Championships. They know how to get their horses ready on the day so he’ll be a big threat. 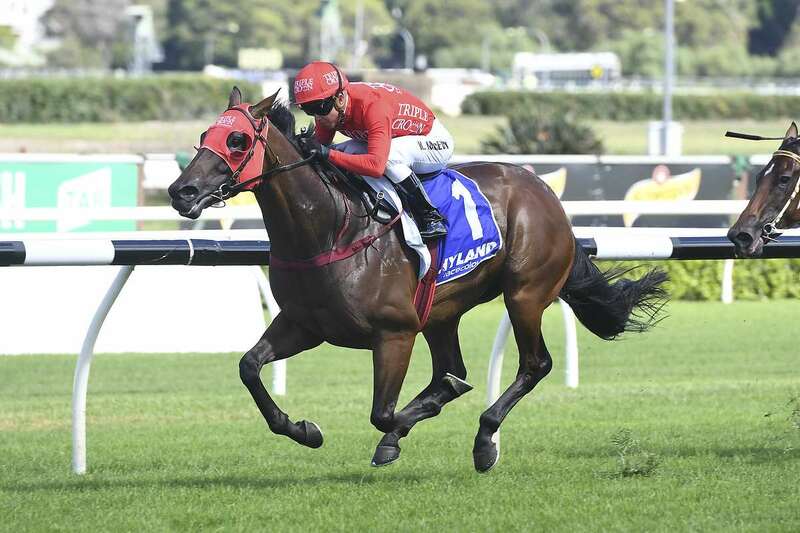 Anthony Freedman’s son Sam, who helps put the polish on classy speedsters Santa Ana Lane and Shoals, has given a glowing endorsement of two-time The Everest hero Redzel repeating his feats from spring. Redzel was being shopped as a $8.50 chance with BetEasy on Thursday, giving legitimate rise to his starting at a price not seen for almost two years. The rainy conditions which prevailed in Sydney on Thursday will only fuel hopes Redzel can swell his career earnings to almost $17 million. “I think Osborne Bulls was very good in the Newmarket and if it gets to heavy it’s hard to go past Redzel,” Sam Freedman said. The Freedmans have prepared two of the most underrated horses in the country over the past couple of years, picking up a swag of group 1s, but still probably haven’t received the credit they arguably deserve. But Shoals could potentially put an exclamation mark on her career and Santa Ana Lane could add to his resume before an international campaign in the richest open age sprint in Australia outside of The Everest. Shoals started favourite in last year’s The Everest on a bog track, but struggled in the going as Santa Ana Lane also laboured on the bottomless surface. “It was the grand final and you hope to turn up on an even playing field with nice conditions, but it’s up to the weather gods a lot of time,” Freedman said. “I remember the downpour between the Consolation [Sydney Stakes] and The Everest. You’re hopeful they will get through it, but that day it was bottomless. They were both slow away and it took a little bit of sting out of them after the run. VRC Spint winner Santa Ana Lane was rated a $7 chance with BetEasy, shading Shoals ($11) in early markets. Canterbury Stakes winner Trapeze Artist ($4.20) topped Osborne Bulls ($4.60) for early favouritism.